Anytime you start something new it is important to ensure that you’ve done all of the research before you begin. 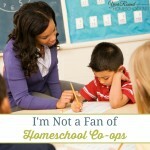 Changes you make to your homeschool are no exception. If you’re moving to a new homeschooling method you’ll need to ensure you understand how it works and using a new homeschool curriculum requires reading the teacher’s manual. 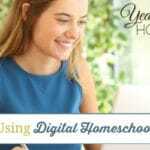 When you’re getting started with digital homeschool curriculum it is important to have the right tools and resources to help you on your homeschooling journey. When I first began using digital homeschool curriculum with my kids all I had was a computer and a printer. It was not a frugal homeschooling option, but it did provide a lot of hands-on activities and quality time with them when they were young. However, I wish I had known what tools and resources would have been best to have on hand for homeschooling with digital curriculum. That being said, if you do not have all of these tools and resources on hand right now, that doesn’t mean you can’t use digital homeschool curriculum. There are so many different types of digital homeschool curriculum, you can find options based on the tools and resources you have right now. You could even get started with what I had to begin with, just a computer and printer. When you’re first getting started with digital homeschool curriculum you’ll be doing quite a bit of research looking for the right type for you. Then as you start preparing for each new homeschool year you’ll spend hours looking for new digital homeschool curriculum again. I’ve done some research on my iPhone and tablets, but I find that the hours I spend looking at sample PDF files and searching the web is done much easier from a PC. While I do not recommend printing all of the pages in your digital homeschool curriculum, you will need to print pages sometimes. I would recommend that you invest in a double sided printer. This will help you save money by using less paper. Purchase printer paper in bulk to make life easier for you. You’ll go through it quicker than you think, so grab a case of it to have on hand. I always reorder another case when I open the last ream in the case. Before my kids were ready for internet ready devices we used my Kindle Paperwhite for all of our digital homeschool curriculum. I was able to upload PDF files (books and curriculum) to it by emailing it to the email associated with my Kindle. Having a device when my kids were younger enabled me to read lessons to them sitting on the couch together and kept me from having to print the lessons which saved money. When my kids became teenagers I purchased Kindle Fires for them to use for homeschooling. They’re able to take their lessons on the road, research for reports and papers and much more! I love that I can access their devices via my Amazon account to ensure that they’re staying on task by looking at what apps they’re using. Again, having devices for my kids to use for homeschooling has allowed me to only print the pages that are absolutely necessary making digital homeschooling curriculum a very frugal homeschooling option. Having a laptop for your kids to use for digital homeschool curriculum can be extremely helpful for online courses, resources that include editable PDFs for lessons, typing classes, writing papers and essays, etc. My kids love having a touch screen laptop or a wireless mouse instead of using the mouse pad on their laptop. If your kids are going to be taking online courses or do their best homeschooling while listening to music like my teens do, you’re going to want to have a set of headphones for them to use. This will allow you to keep your sanity, get things done, listen to your own music, talk on the phone or even nap while they do their lessons. Using a laminator with digital homeschool curriculum is awesome because it allows your kids to reuse worksheets by using a dry erase marker on laminated pages. Having one place for your kids to store all of their printed work from digital homeschool curriculum makes it easy for you and them! Add subject dividers to separate subjects inside to make it even more organized and don’t forget to grab ruled notebook paper for lessons! Make your life easier and purchase a 3 hole punch, don’t try and use a one hole punch to prep all of kids’ digital homeschool curriculum for their binders. All of these tools and resources are typically found in most homeschoolers homes, probably yours! I hope that knowing this encourages you to step outside of the box (and maybe your comfort zone) and try using digital homeschool curriculum with your kids! 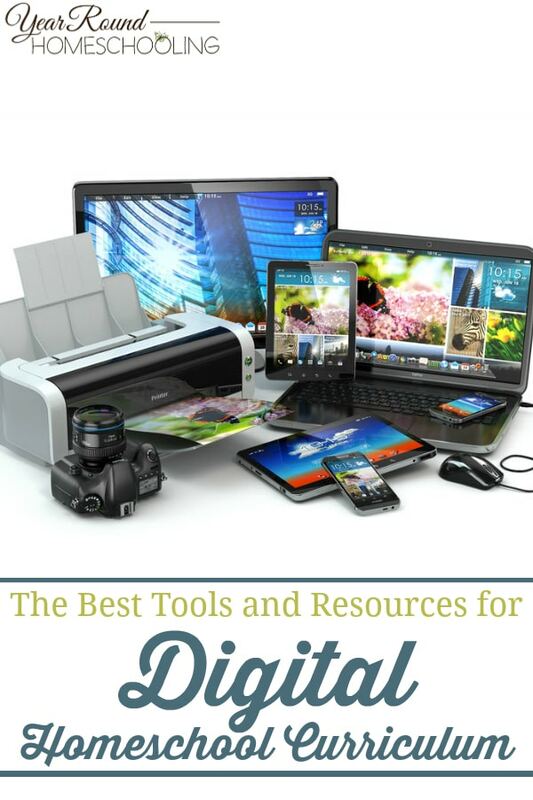 What is your favorite tool or resource to use with digital homeschool curriculum?